In 2012 a female white rhino named Thandi was the victim of a vicious poaching attack with a machete. She lost her horn, but survived. 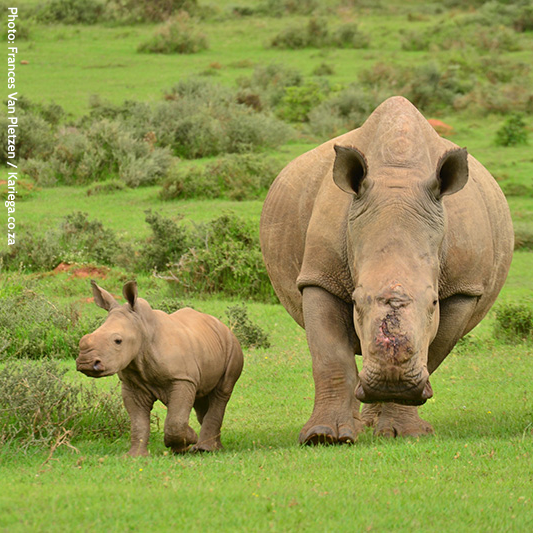 Well, in 2015 Thandi has made the news again by giving birth to a baby calf named Thembi, which means "hope." I wrote this haiku for the newest rhino on planet Earth.